Those who wander are not lost! 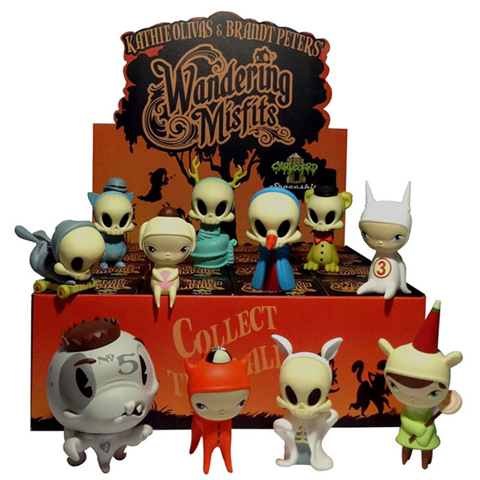 Check out the new mini series Wandering Misfits by the Kathie Olivas and Brandt Peters. Kathie and Brandt’s world of creepy sideshow icons comes to life in this beautifully created series of misfits that possesses more than the eye can see. There are 11 different misfits in all including favorites as Inkslinger #5, bear suit Elizabeth, pull cart skelve (that really rolls), and Calliope to name a few. 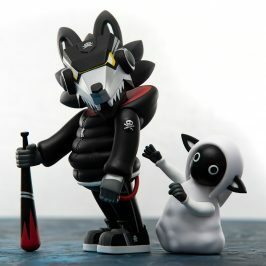 Not to mention the elusive chase colorways of the mischievous group. 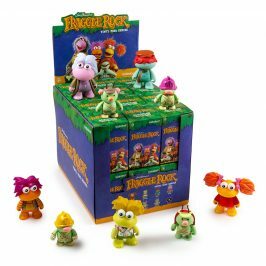 Coming to you from cardboard spaceship, these limited edition vinyl figures stand just under 3.5-inches tall and are the perfect addition to any collection! 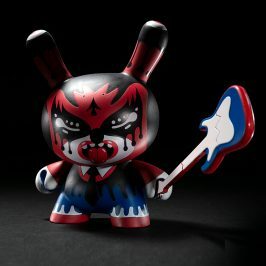 You can grab them at Kidrobot stores or at www.kidrobot.com. 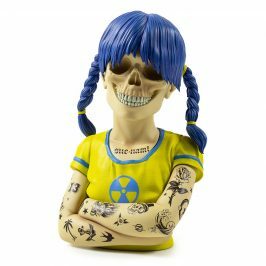 That isn’t all because we have our very own Kidrobot exclusive White Heathern Snake Skelve! Feast your eyes on the slithering White Heathen! 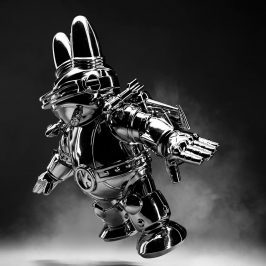 This cardboard spaceship vinyl figure is exclusive to kidrobot.com & KR retail. 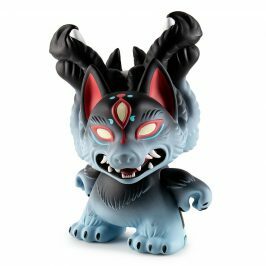 Kathie Olivas & Brandt Peters creepy, yet beautiful creation stands just under 3.5-inches tall, and is limited to 85 pieces. 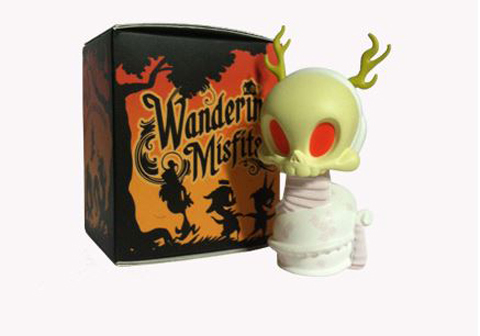 Grab this disbeliever to sit along side the rest of your Wandering Misfits mini series!